Middle and high school athletic competitions play an important role in our national culture. It is not uncommon for parents and students to share an interest of participation in sports. Athletics are a vehicle that can be used to foster responsibility and cultivate leadership skills in students. These are qualities that may be taken into consideration when applying to colleges. Just as in the classroom, GCS is committed to excellence within our athletic department. Concentration will be given towards health, physical development, leadership, perseverance, and integrity in competition. All GCS athletes must complete the forms below before they are allowed to practice or compete with the school team. Students must also have met the minimum academic requirements. Students that are successful in earning participation on an athletic team will be required to pay the athletic fees and sign the equipment usage agreement, if applicable. An athletic fee of $100 must be paid for each sport a student participates in throughout the year. If a student participates in more than one sport per season, the fee is $75 for the second sport. Athletic fees contribute to costs associated with operating the athletic program such as officiating, equipment, and facilities. Coach Shay is a graduate of the University of Dayton with a B.S. in Elementary Education and Marygrove College with a Master’s degree in The Art of Teaching. He also completed his Administrative Degree from the University of Dayton. 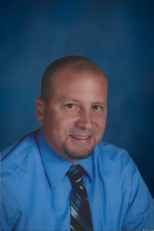 Coach Shay spent over twenty years in Ohio as a classroom teacher, coach, athletic director and an administrative leader. In 2010, he was called to leave the education field behind and travel north to Wisconsin to work at Rawhide, a Christian boys’ ranch for troubled teens. After one year, God lead him to Virginia where he spent two years as middle school math teacher in Henrico County Public Schools. Coach Shay is ardent about seeing people of all ages growing in their relationship with the Lord, experiencing a heart transformation and applying God’s principles to their lives. His personal motto is, “it’s not just about knowing, it is about DOING. It’s not enough to know the will of the Father, it is about living it.” Coach Shay, his wife Angela, and their daughter Ainsley, are members of Fairmount Christian Church. Coach Cole has been playing soccer since she was eight years old. She has coached younger recreational and travel soccer teams for many years as well as organizing and conducting soccer training camps and summer conditioning weeks. Playing recreational, travel, school, and collegiate soccer, Coach Cole has experienced many different coaching styles, techniques and mentalities which have come to shape her own. She also was a certified referee for ten years making her confident with the technicalities of the sport. Coach Cole is excited to embark on the adventure of developing a competitive soccer program at GCS. The only expectations from coach are to be prepared, work as a team, demonstrate respect, and put God first on and off the field. Ms. Cole is a member of Area 10 Faith Community. Coach Martin has years of cross country experience as a former volunteer with the Lee-Davis High School Cross Country and Track teams. She was also an assistant cross country coach at Heritage Christian School for two years. In 2017, Coach Martin joined the GCS Cross Country coaching staff. Believing not only in the value of the health and fitness benefits one can gain from cross country, Coach Martin also sees the opportunity cross country provides for encouraging teammates to reach their personal goals. She wants to see athletes grow in their relationship with Jesus Christ and to show Christ to others through team encouragement. Mrs. Martin and her family are members of Harvest Christian Fellowship. Coach Martin is a graduate of Eastern Mennonite University with a B.S. in Business. While at EMU, he was a starter for the basketball team, and later coached the EMU women’s basketball team for one year before moving to Mechanicsville. Coach Martin has been married to his wife, Amy, for 24 years. They have been blessed with four children, Jordan, Nate, Cassie, and Drew. While being a father, he has had multiple opportunities to coach through Mechanicsville Little League, Hanover Youth Basketball, Upwards Basketball, and Upwards Flag Football. Coach Martin is passionate about the game of basketball and teaching young people the fundamentals to be successful on and off the court. Above all else, he wants to see people come to know Christ as their Lord and Savior and to help nurture their relationship with Him. 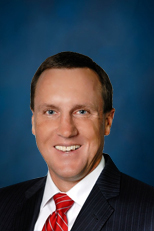 Coach Martin is employed by Eagle Home Mortgage as a Branch Manager and has been in the mortgage industry for 25 years. He enjoys playing basketball, golfing, and playing games of all kinds. He and his family are active members of Harvest Christian Fellowship in Mechanicsville. Mrs. Piland is a lifelong resident of Hanover County. She earned a Bachelor of Science Degree in Psychology and a Master of Teaching Degree from Virginia Commonwealth University. She also completed the course work for a Gifted and Talented Endorsement from the University of Virginia. Before starting her family, she was a classroom teacher with Hanover County Public Schools. 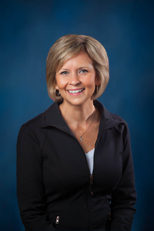 Mrs. Piland is a former cheerleader and gymnast with many years of experience. In her free time she enjoys physical fitness, singing, musicals, fishing, baking, and watching college basketball. She and her husband have two children. Mrs. Piland is a member of Mount Vernon Baptist Church in Glen Allen, Virginia. The game of basketball is no secret to Coach Ed Riley. From playing basketball for John Marshall high and AAU basketball for Tony Squires, Ed's route to perform at a high level was well on it's way. 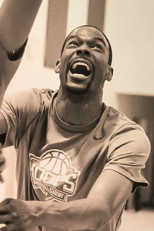 After high school Ed was chosen to be a member of the Christopher Newport University men's basketball program. As a member of CNU, Ed capture the eyes of many people while gaining several accomplishments as a captain. 2006 Six Man of the D3 South Region, 2006 USA South All-Tournament team, 2005-2006 USA South Championship, and 2007 USA South All -Tournament team. While playing at CNU, Ed great IQ and decision making allowed him to gain 750 points in only two seasons. After graduating from CNU with B.A. in sociology, Ed took his game to play semi-pro in the EBA for the Delaware Destroyers. After two seasons of play and learning the professional play, Ed decided to come back home to Richmond to teach and share what he was taught. Coming home to coach was something that Ed dreamed about while in college. Receiving his first coaching job as the youth director for the Richmond Midnight Basketball League was priceless. Staying there for 3 years, Ed grew the program from 15 kids to 60 kids. After expanding the Richmond Midnight Basketball League, Ed was ask to be the middle school girls and boys coach for Thompson Middle school in the city of Richmond. Taking the girls program from a record of 1-8 to 5-4 and the boys program from 2-7 to 6-3, the growth of two seasons assisted Ed in receiving the junior varsity head coach position at Armstrong High school in the city of Richmond. After a year there and a great time of learning different coaching styles and methods, Ed was ask to be the assistant coach of the varsity girls at TPLS Christian Academy in Midlothian. Studying the game under Coach Mike Davis, Ed increased his basketball IQ and knowledge of coaching to another level. Loving the training and skill development of the game of basketball, Ed developed his own training program, Hoops Basketball Academy. Designed to teach the fundamentals, increase self-esteem & confidence, and develop and sharpen players basketball IQ, Ed saw the need to teach the game instead of coaching to win. Mrs. Vaughan is a lifelong resident of Hanover County. She studied at VCU in the Arts program, and recently received an Associate's Degree in Elementary Education from the University of Phoenix. Mrs. Vaughan has been a substitute teacher for Liberty Christian School for several years, and has been a substitute teacher for Grace Christian School since November 2013. She and her husband, Phil, have three children, Nick, Nathan, and Alyssa. Mrs. Vaughan and her family are active members at Gethsemane Church of Christ, where she sings on the praise team and in the choir. She is passionate about volleyball and is thankful for the opportunity to coach the girls' volleyball teams. Her hobbies are gardening, singing, drawing, painting, and reading.